The website and the organization and layout of the website, including all original materials posted by RoyalHunt.com and are owned and copyrighted by RoyalHunt.com, Royal Hunt. The website may be accessed, downloaded or printed for personal, non-commercial use only. Without the prior written permission of Royal Hunt you may not copy, distribute, or transfer any material on the website in whole or in part, except as specifically provided herein. Links to other websites are provided as navigation tools only. These other websites contain information created, published, maintained, or otherwise posted by persons or entities independent of Royal Hunt. We do not control these websites and are not responsible for the information or links you may find there. We do not guarantee the content, accuracy, completeness, or privacy policies of information on other websites. The presence of these links does not constitute or imply an endorsement, recommendation, or preference by Royal Hunt. The owners/operators of these websites do not necessarily endorse our products or services, nor are they responsible for the content of this Site. Royal Hunt are not responsible for, and expressly disclaim all liability for, damages of any kind arising out of use of, reference to, or reliance on such information. If you transmit material to Royal Hunt or post material to this website, you represent that such material is owned by you, or used with permission of the copyright holder. You grant Royal Hunt a royalty-free, perpetual, non-exclusive right to use, and to authorize others to use, this material in all forms and media throughout the world. 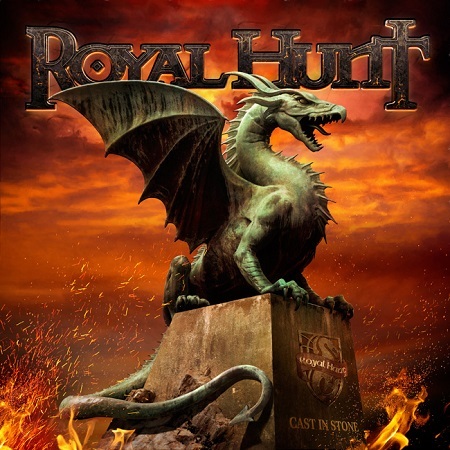 Royal Hunt are not responsible for any content or material posted by users of the website. If any user violates this Agreement, or if we believe in good faith that any portion of the material a user posts to the website infringes any copyrights or proprietary rights, or is otherwise inappropriate in our sole discretion, we reserve the right, in our sole discretion, to edit or delete in whole or in part such posted material. Posted messages, participation in forums and chat rooms, and any other user posted content contain the opinions and views of the individual website user, not necessarily the views of Royal Hunt. Royal Hunt disclaim all express and implied warranties with regard to the information, services, and materials contained on the website, including without limitation any implied warranties or merchantability, fitness for a particular purpose, and non-infringement. All such information, services, and materials are provided “as is” and “as available” without warranty of any kind. We may make improvements or changes in the information, services, products, and other materials on the website, or terminate the website, at any time without notice. We may modify this Agreement at any time, and such modifications shall be effective immediately upon posting of the modified agreement. This Agreement constitutes the entire and only agreement between you and Royal Hunt and may not be modified except in writing signed by all parties. The website is controlled and operated by Royal Hunt from its offices in Denmark. Royal Hunt makes no representation that materials on the website are appropriate or available for use in other locations. Those who choose to access this website from other locations do so on their own initiative and are responsible for compliance with local laws, if and to the extent local laws are applicable. Royal Hunt acknowledges the global reach of the World Wide Web, however, countries outside Denmark may have other legal or regulatory requirements, which require reference to different or additional information. This Agreement and the resolution of any dispute related to this Agreement shall be governed by and construed in accordance with the laws of Denmark, without giving effect to any principles of conflicts of law. Any legal action or proceeding between the parties related to this Agreement shall be brought exclusively in a federal court of competent jurisdiction sitting in Copenhagen, Denmark. RoyalHunt.com sells various Royal Hunt merchandise from RoyalHunt.com (hereinafter “Merchandise”). Purchases may be made online with a valid credit card via PayPal. We will not accept for return or exchange any packaged item after it has been opened. There are no refunds, returns or exchanges for digital downloads; all such sales are final. There may be a cancellation/return/exchange fee plus shipping and handling for all exchanges. RoyalHunt.com is not responsible for the cost of return shipping. Before returning please contact customer service at shop@royalhunt.com. Please allow 2 weeks for shipping of your Merchandise. If one or more items from your order are out of stock, or if an item that you ordered becomes discontinued prior to delivery, we will notify you via e-mail. Should you have any questions regarding your merchandise order, please e-mail shop@royalhunt.com. RoyalHunt.com may occasionally update these Purchasing Terms. When we do, we will also revise the “last updated” date at the bottom of the Purchasing Terms. You understand that RoyalHunt.com reserves the right to make these changes and that you are responsible for regularly reviewing this Purchasing Terms, as posted on this Web site. Continued access to or use of the RoyalHunt.com website after any such change shall constitute your consent to such change.